Summary: We must forgive others. Have you ever seen a bumper sticker on a car? They usually have short messages on them. Once I saw one that read, “I’m not perfect, just forgiven.” Even though we sin or offend others at times, we can be glad that God forgives us when we turn away from our sin. Jesus tells us to forgive others when we pray. He says that if we are holding a grudge to let it go. And when ye stand praying, forgive, if ye have ought against any. (verse 25) Our forgiveness from the Father is linked to our own willingness to forgive those that do something wrong to us. God knows how to give our hearts true peace and that is better than peace of mind. If we hold on to our anger (or hold a grudge) toward another person it burns within us and harms us. It is only by letting go and forgiving that person that we are ready to accept God’s forgiveness for our own wrongdoing. Jesus taught us this in the Lord’s Prayer when he said And forgive us our sins; for we also forgive every one that is indebted to us. (Luke 11:4) Let’s practice forgiving others right now. 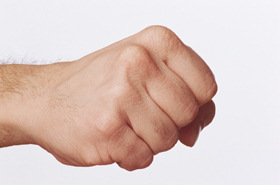 Ball up your hands into a fist and hold them in front of you. Now think of something that someone did to you that hurt your feelings and made you mad. Imagine that you are holding that thought in your fist. Do you see how that looks? It seems as if you are ready to fight. Now keep holding it for a moment. Close your eyes and bow your head. I’m going to pray and ask you to join me. Let us pray. Repeat after me: “Lord, forgive them.” (repeat) Okay, now open your hands and let go of that thought as you forgive that person. Now repeat after me, “Lord I’m sorry for hurting others. Please forgive me.” (repeat) Thank you Jesus for loving us and forgiving us. Help us to forgive others. Amen. Now open your eyes and look at your open hands. 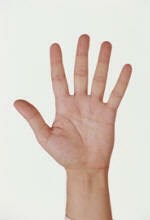 Since you let go of your grudge and forgave that person now your hand is empty and ready to receive God’s forgiveness. That is how we forgive others. Remember to forgive others when you pray.